Denise Fennell returns as Sister in God Never Takes a Vacation. 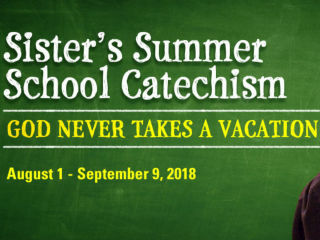 The diocese has decided to offer summer school for those who need additional classroom time. Sister leads hysterical discussions about whether Jesus had to go to summer school and appropriate summer vacations for practicing Catholics. Classroom participation is a must, but being Catholic is not.